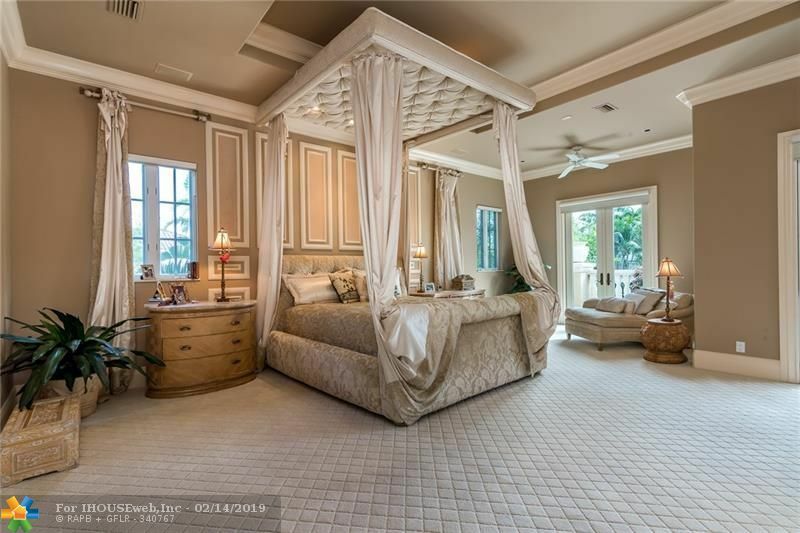 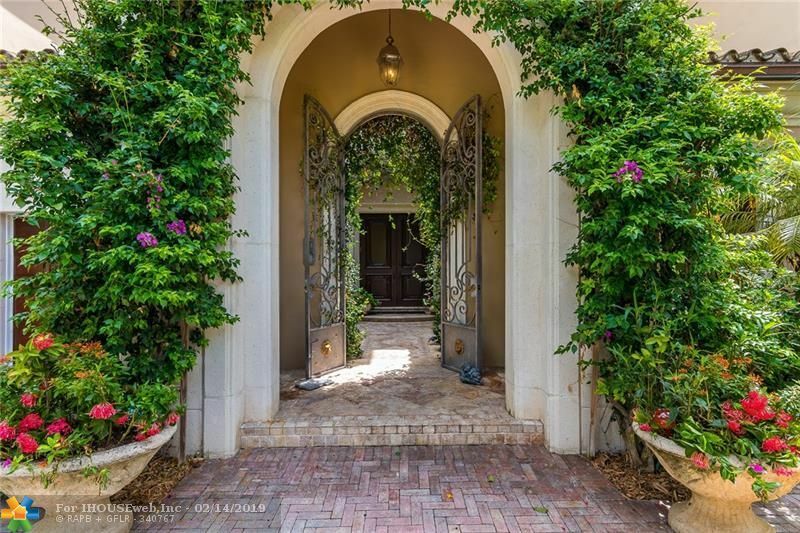 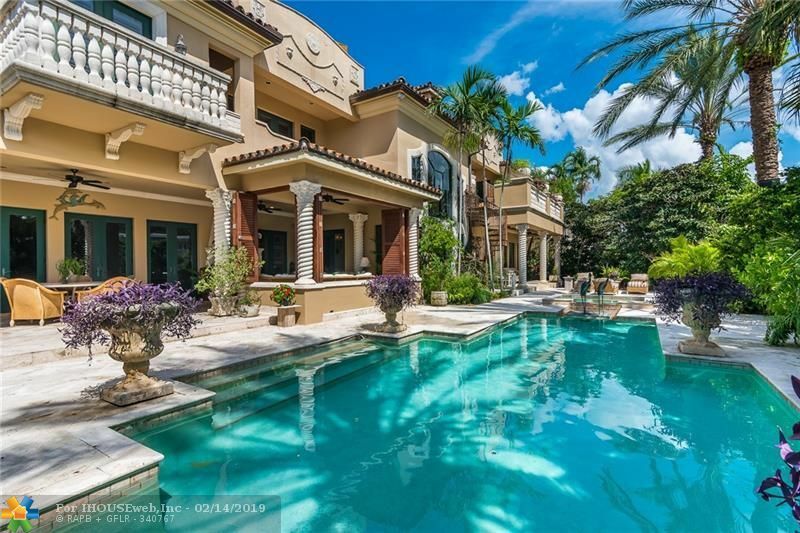 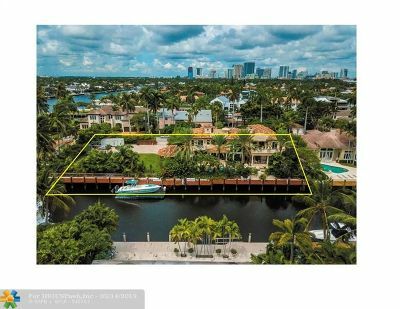 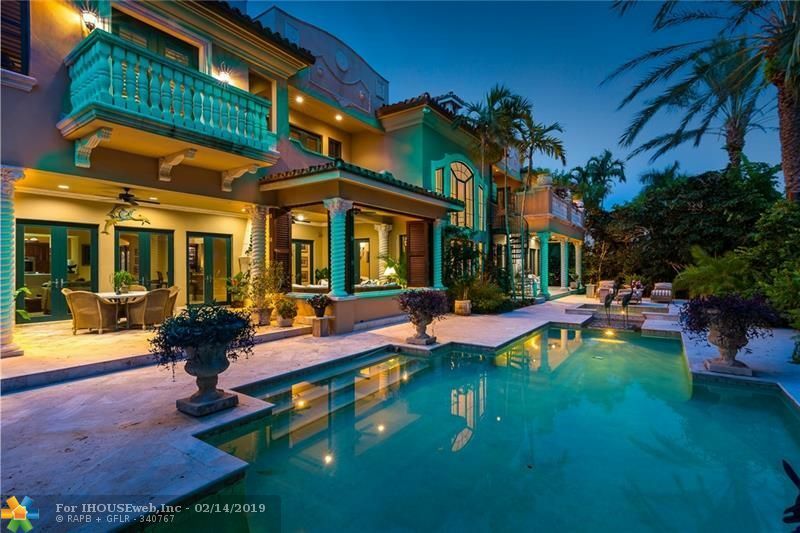 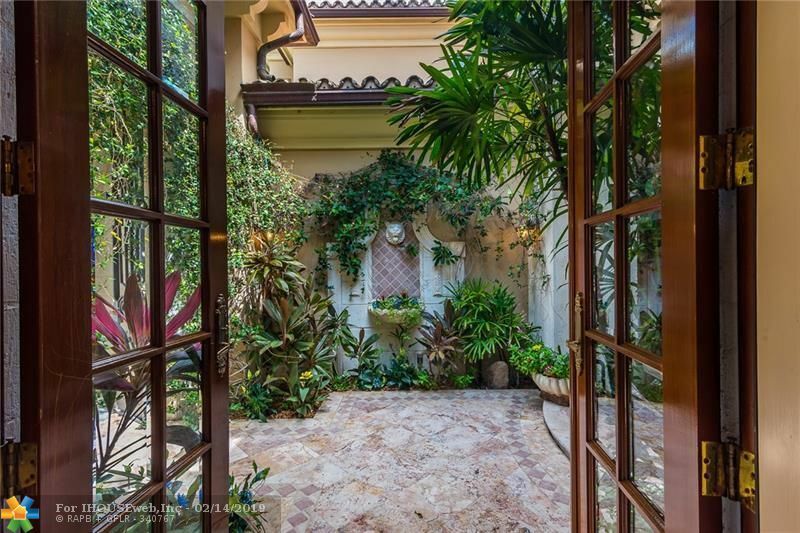 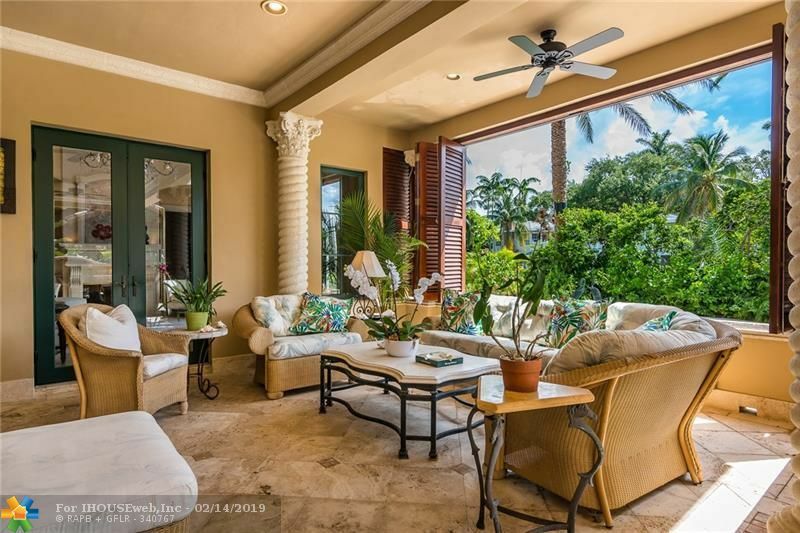 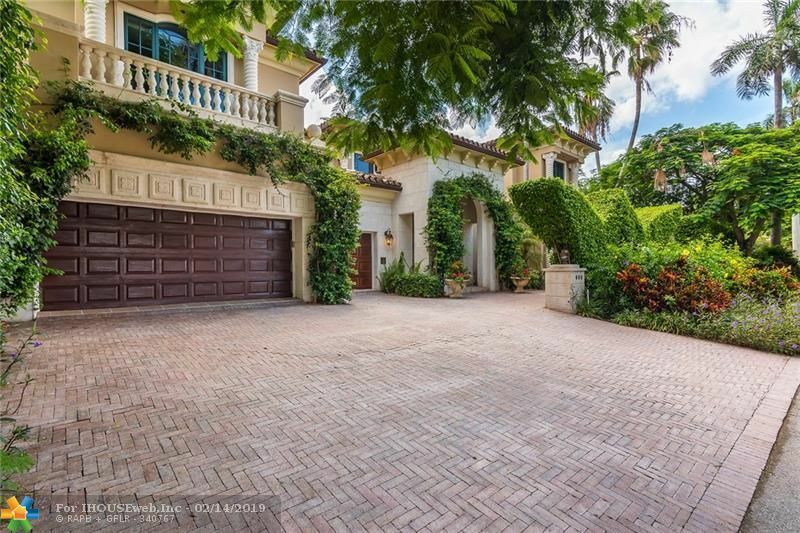 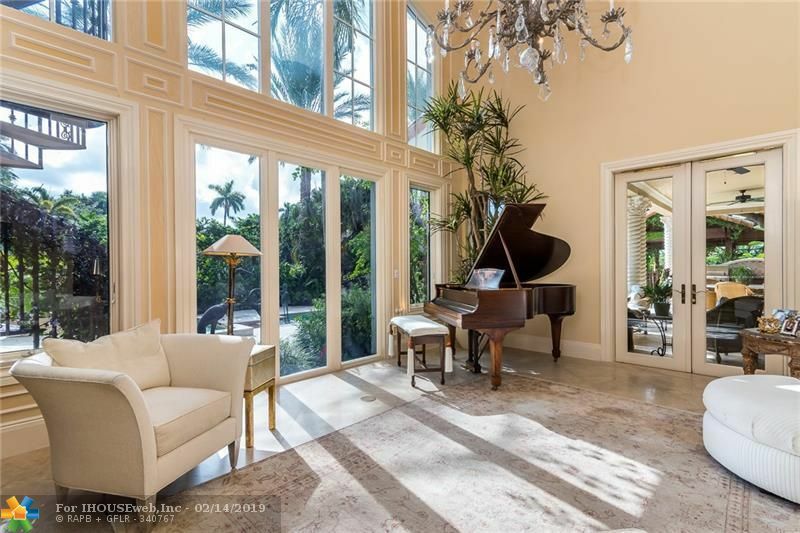 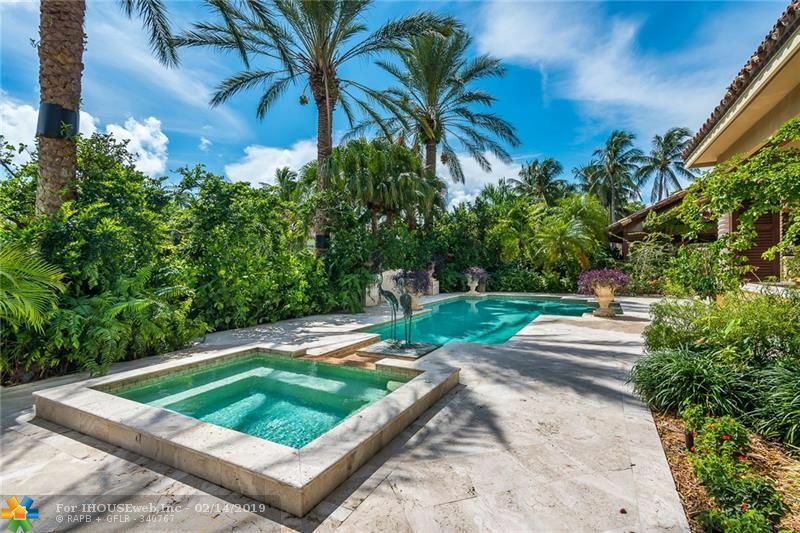 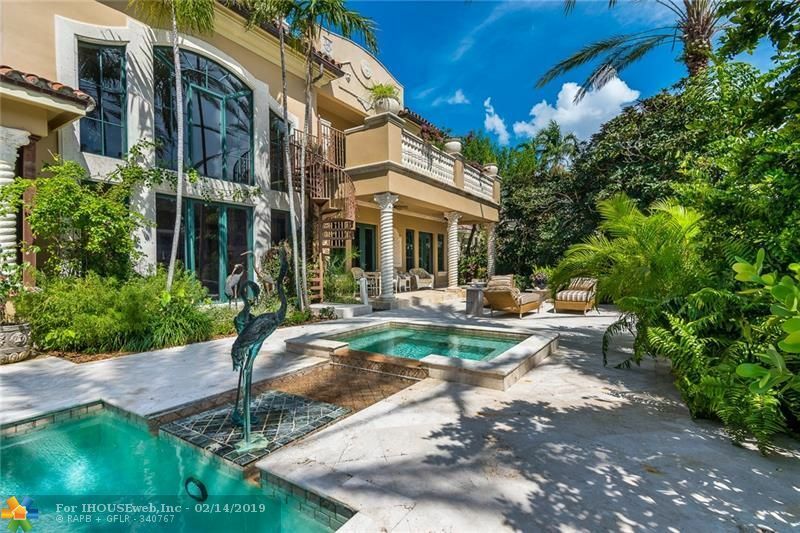 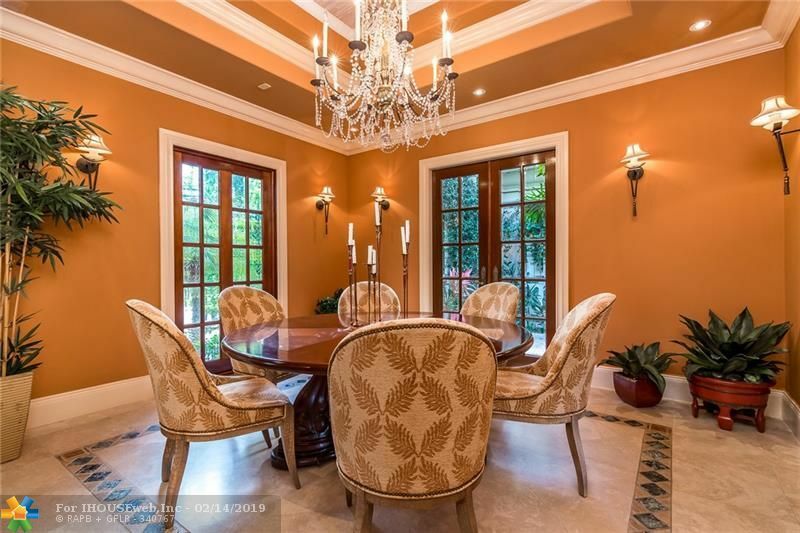 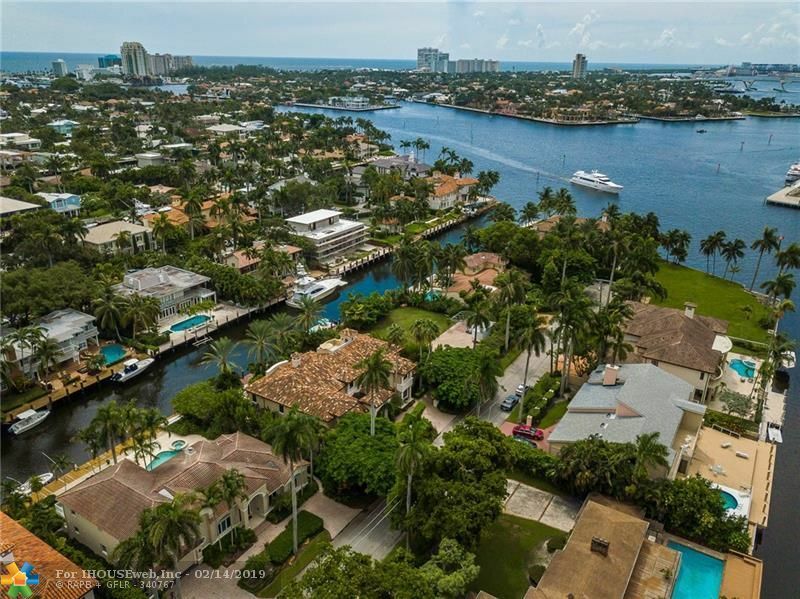 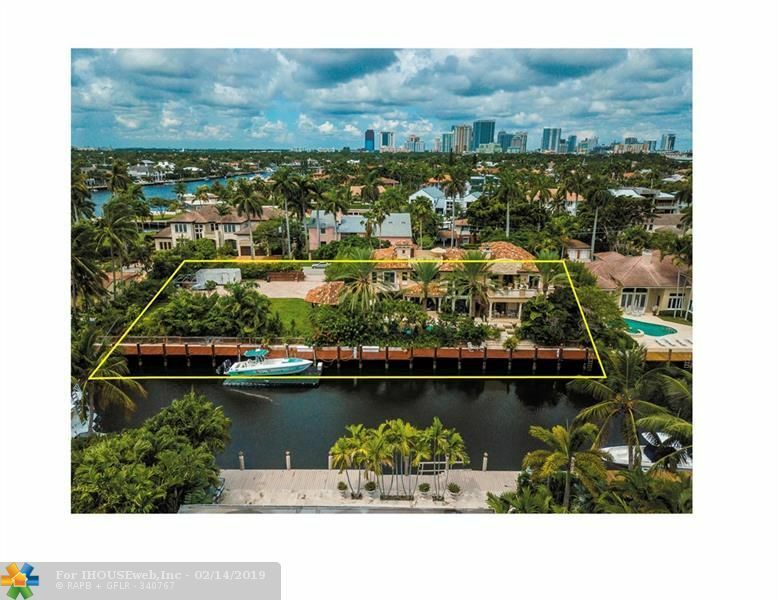 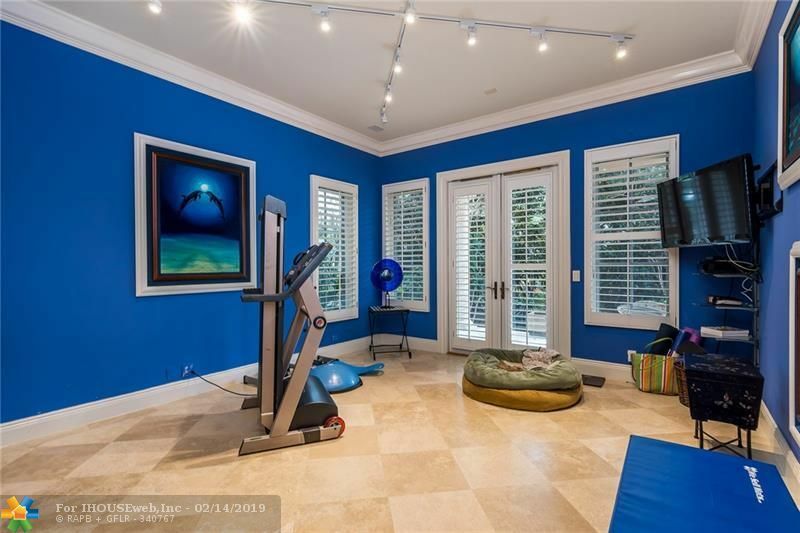 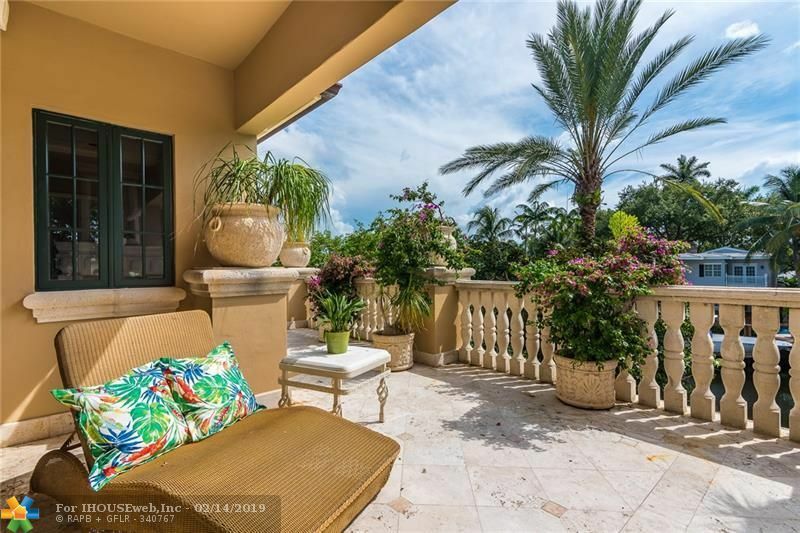 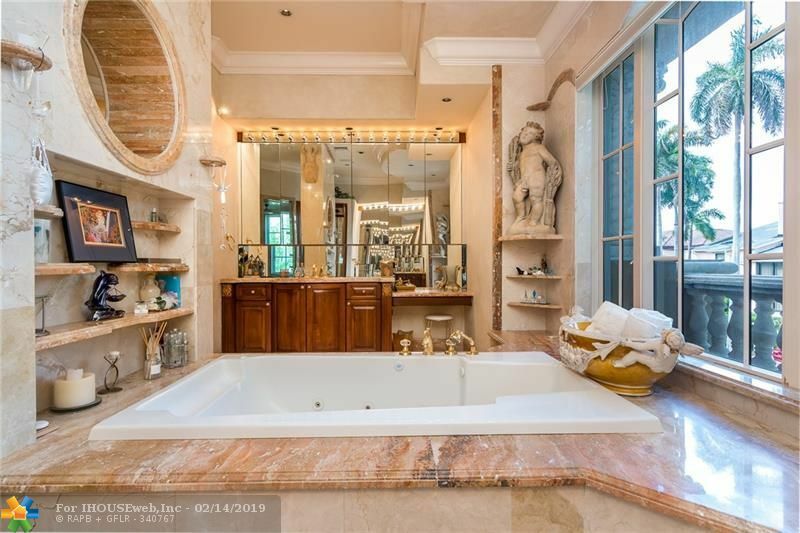 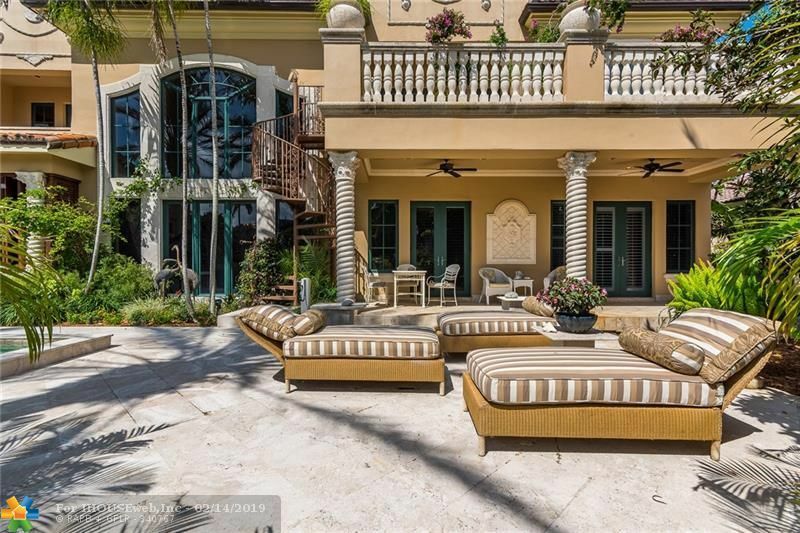 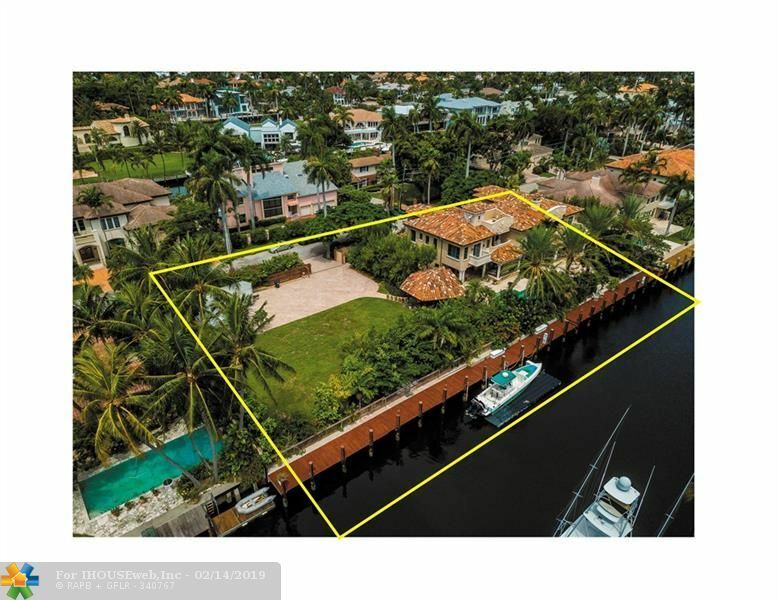 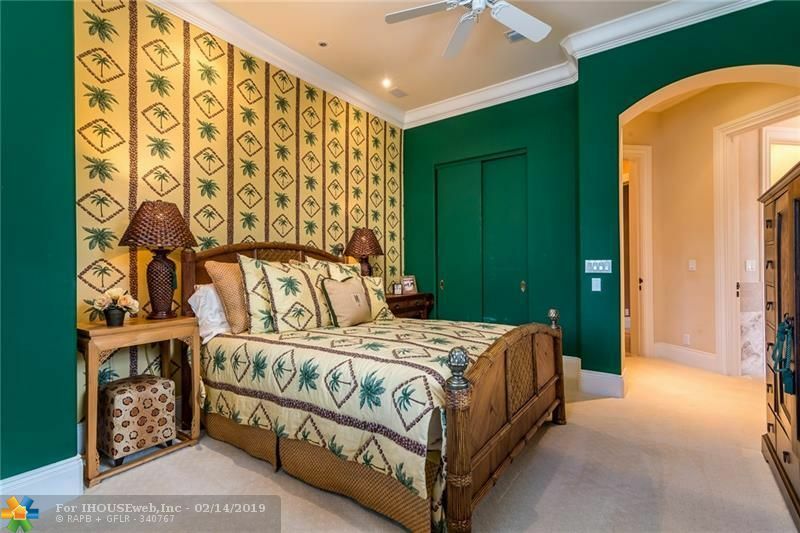 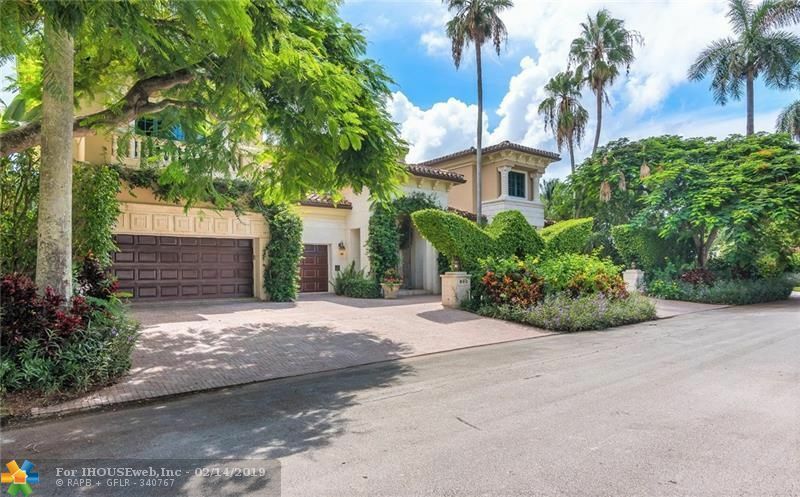 Casa Luna, a Grand Mizner-style Las Olas estate on 220â of waterfront. 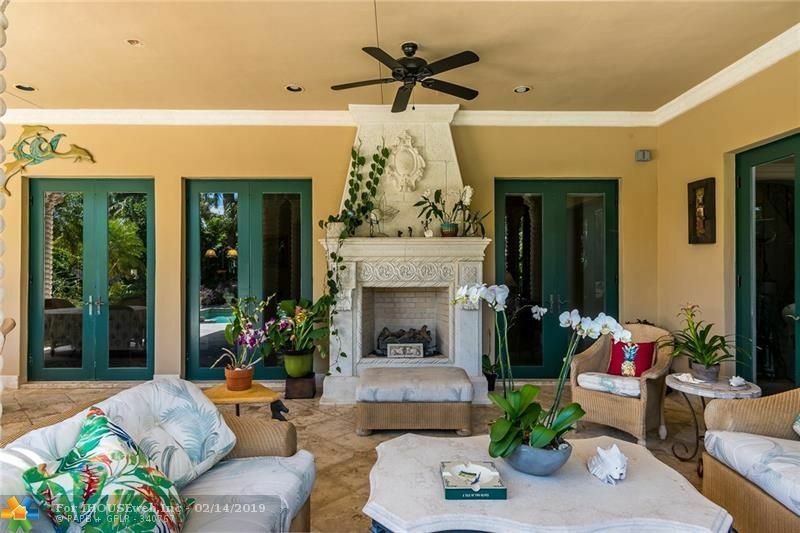 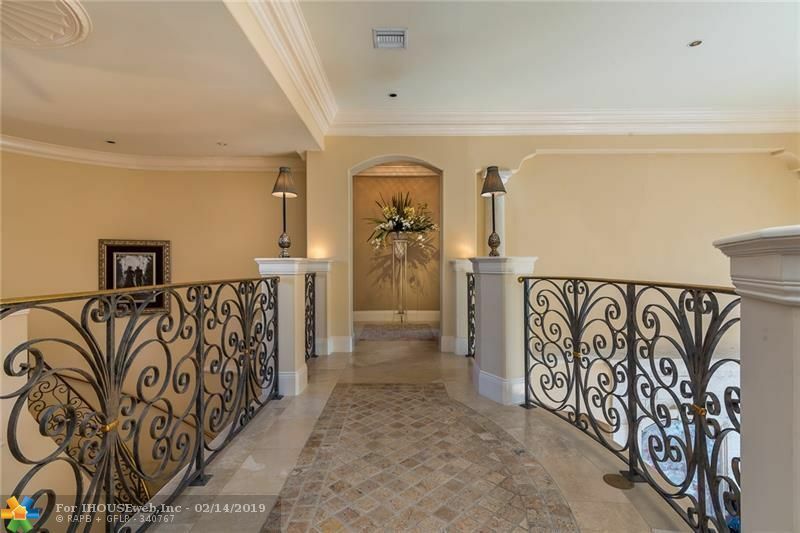 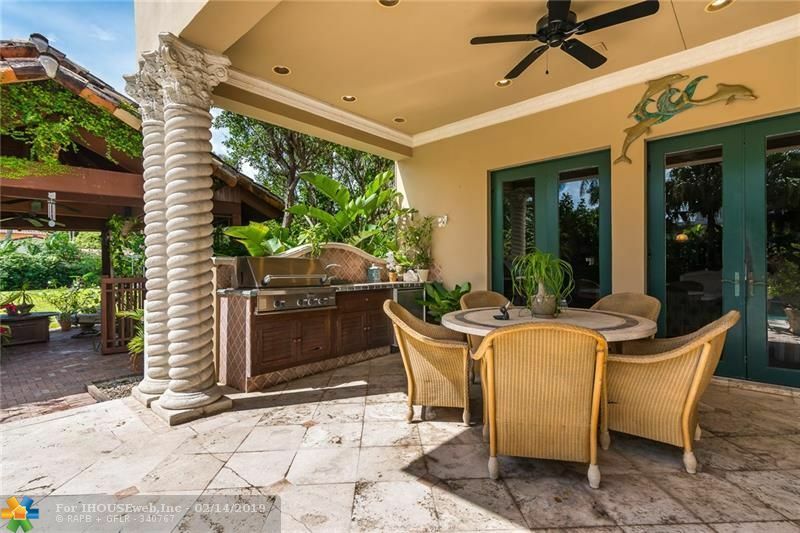 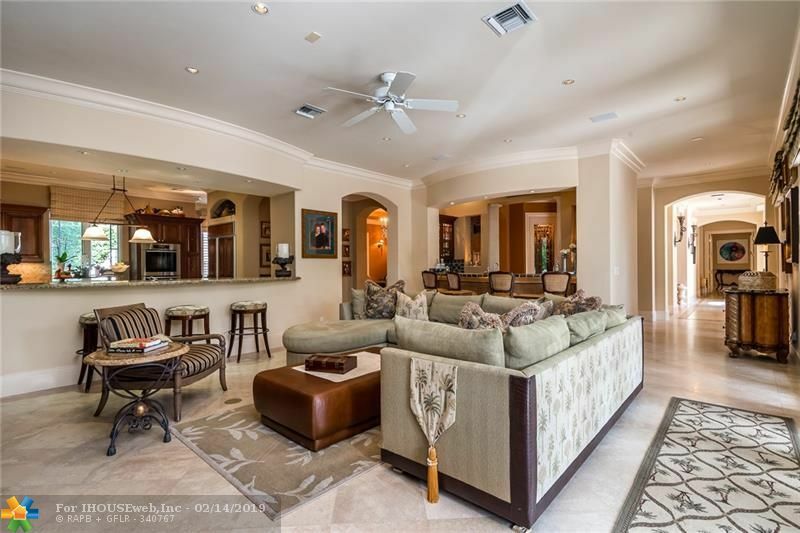 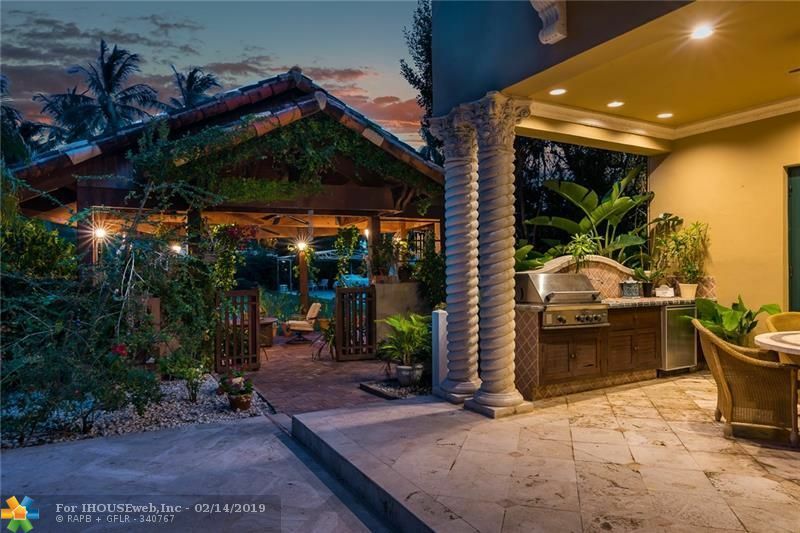 A beautiful iron gate and courtyard lead to this showcase home offering a discerning style of living and entertaining. 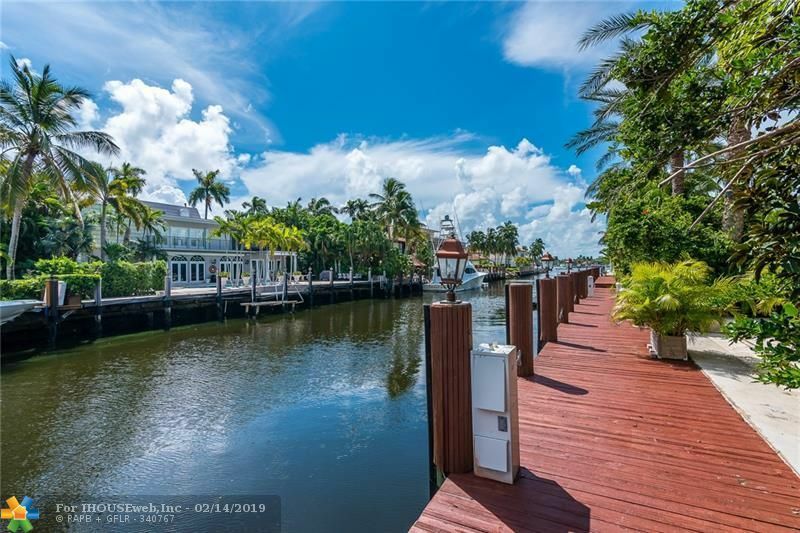 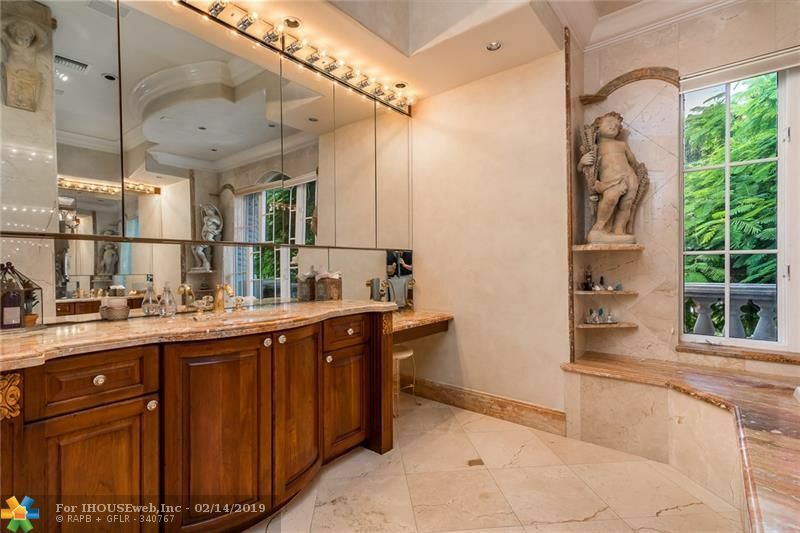 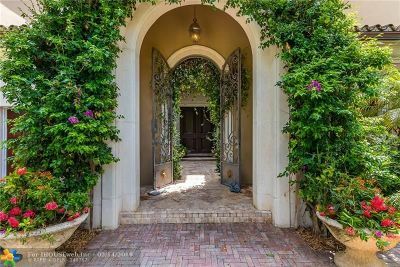 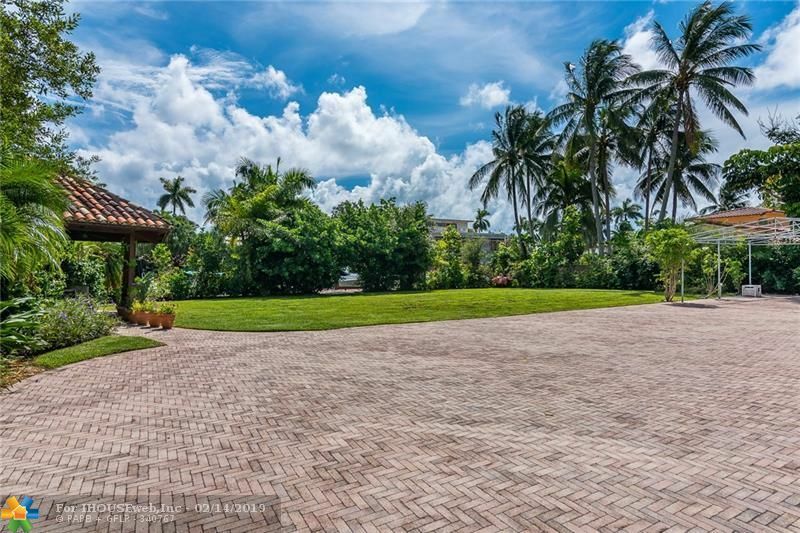 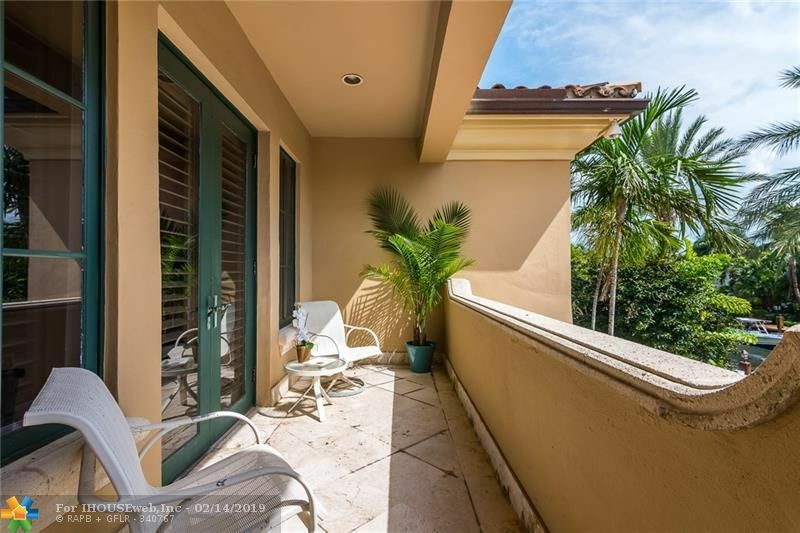 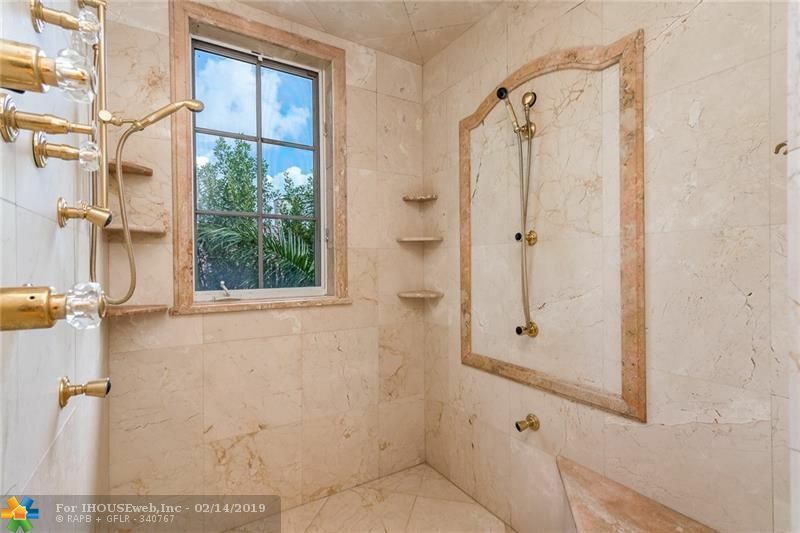 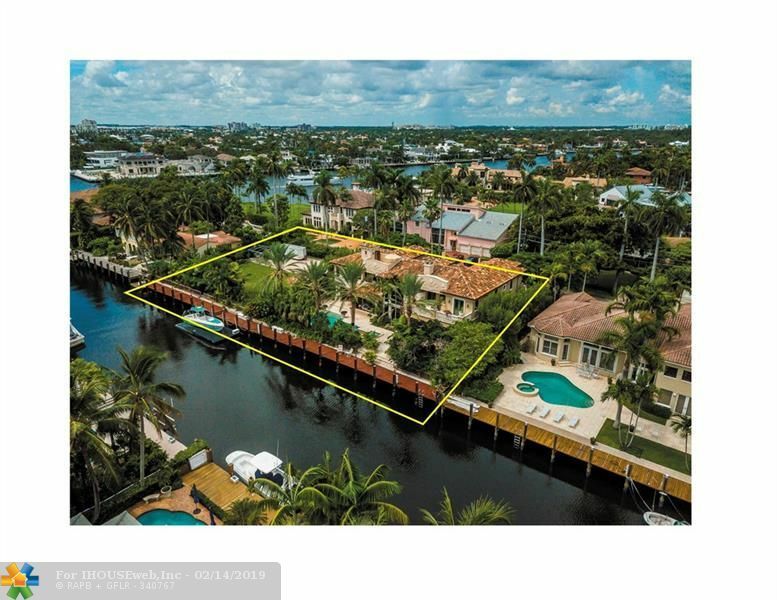 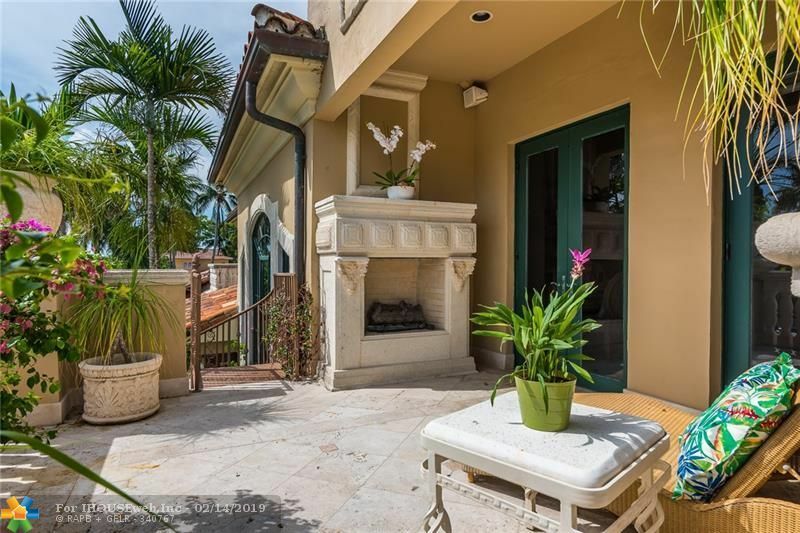 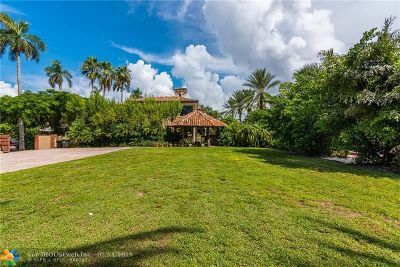 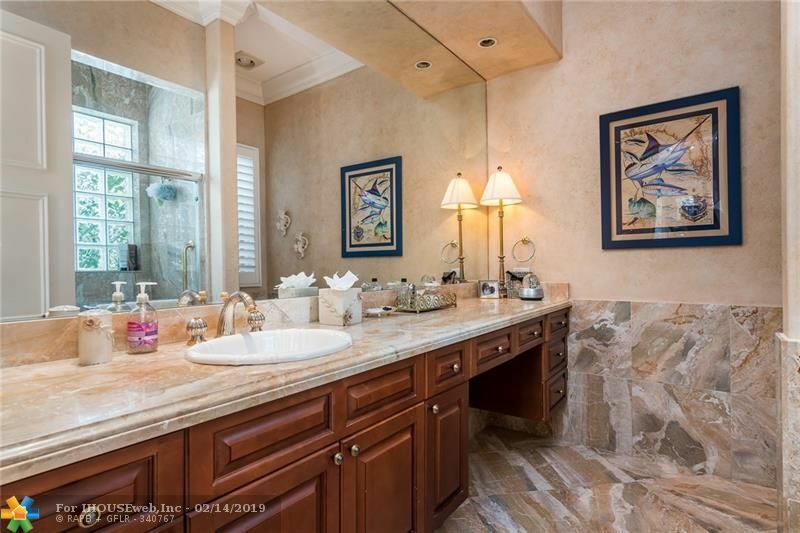 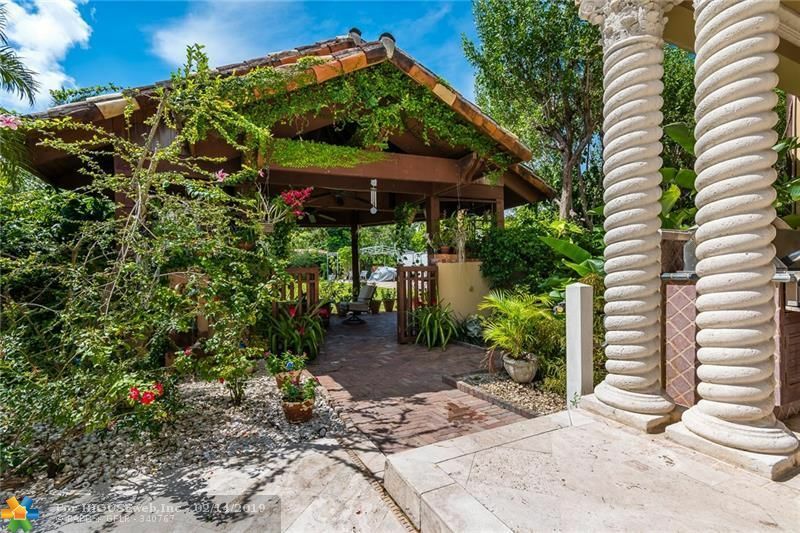 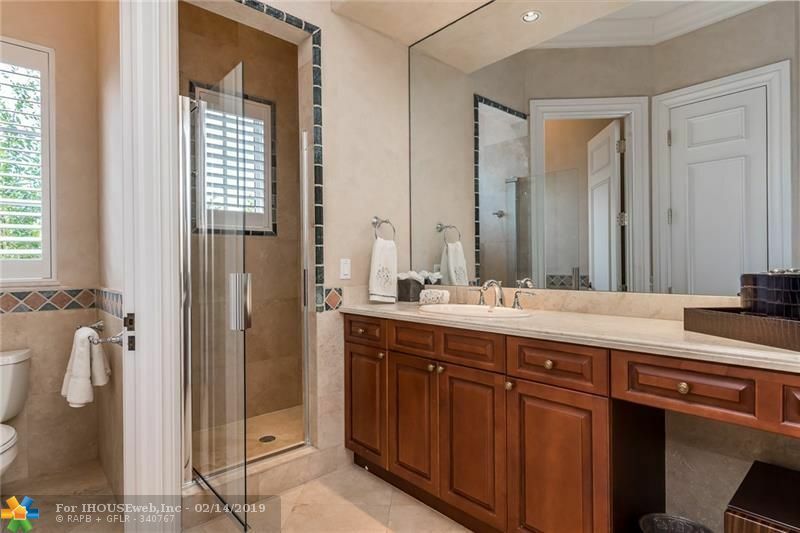 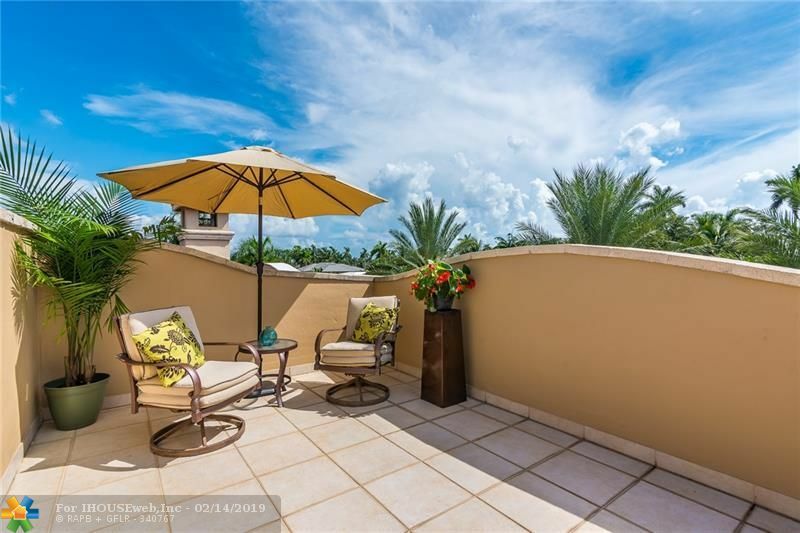 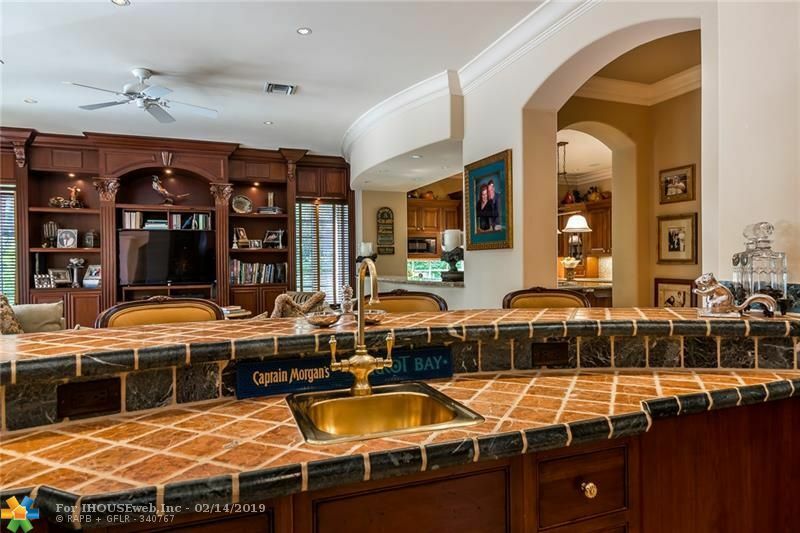 The magnificent property sits on a rare and coveted DOUBLE LOT with Spanish-tiled gazebo overlooking large garden/brick-paver parking. 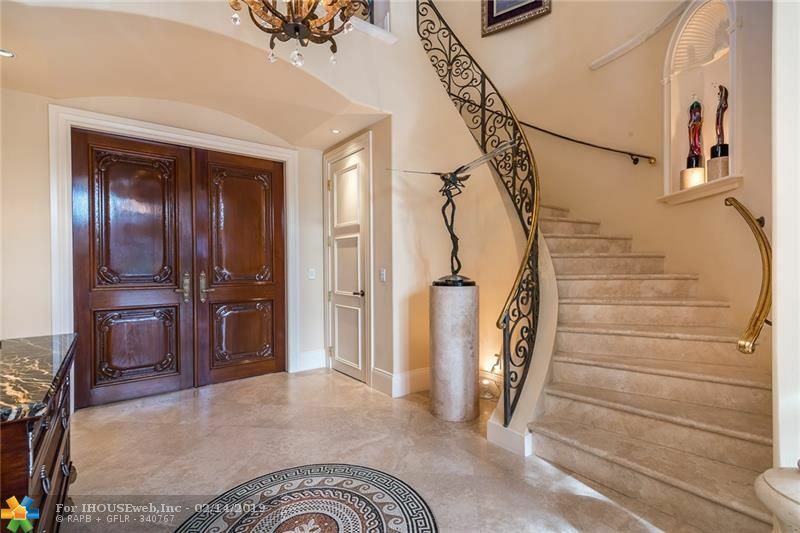 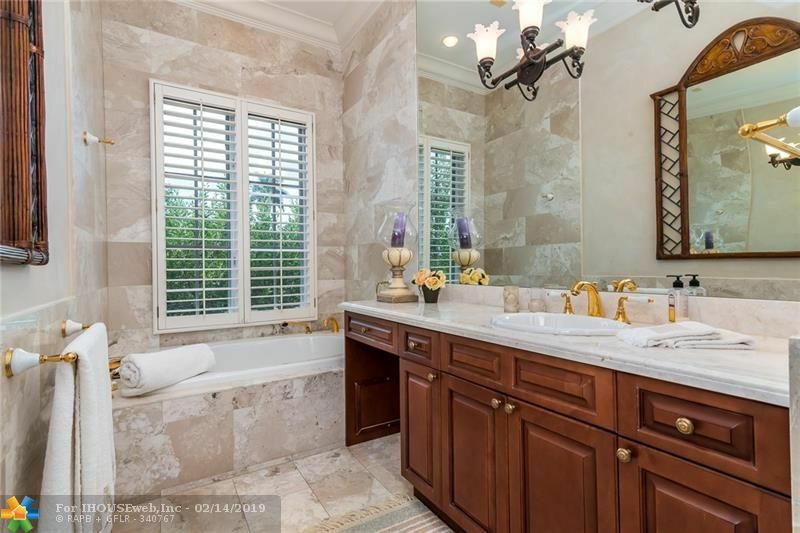 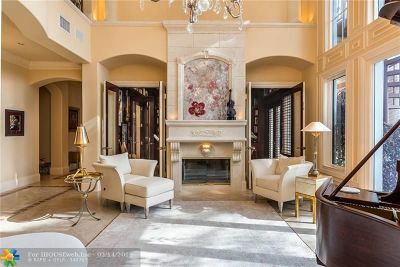 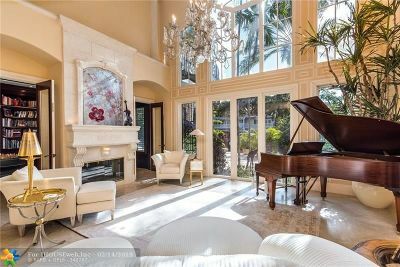 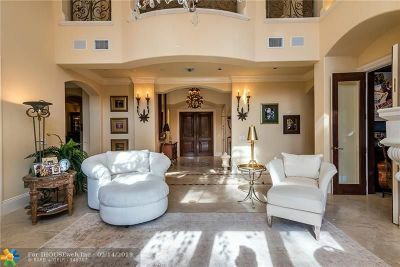 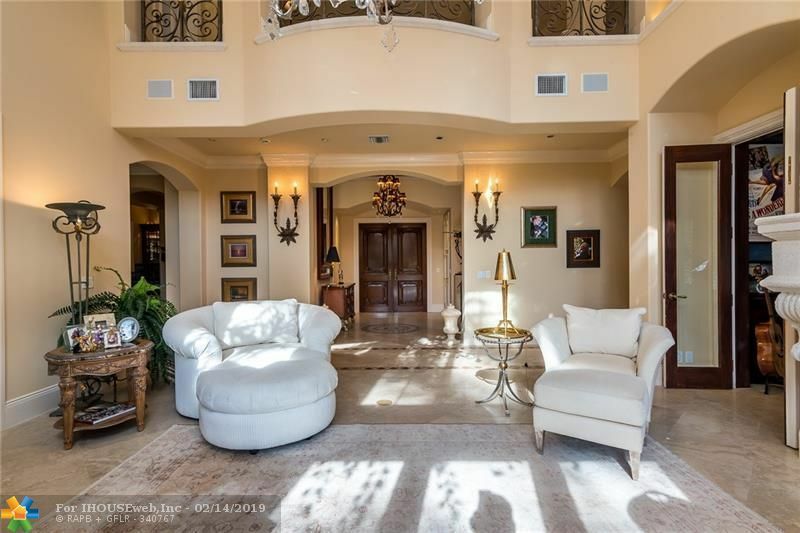 Exquisite marble foyer leads to stunning 2-story living room with floor-to-ceiling windows, columned archways and coquina stone fireplace. 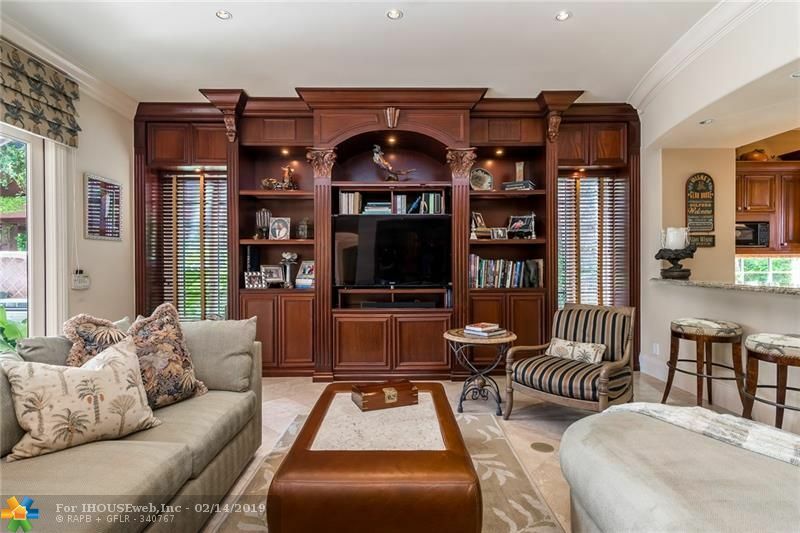 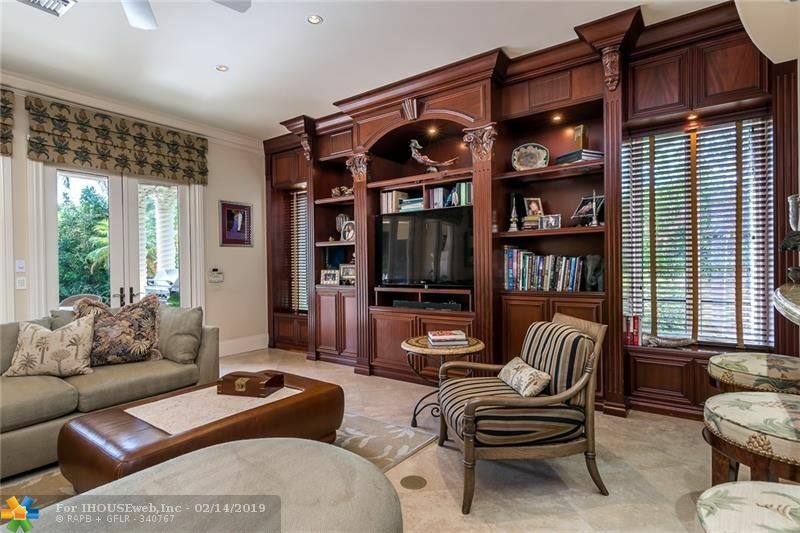 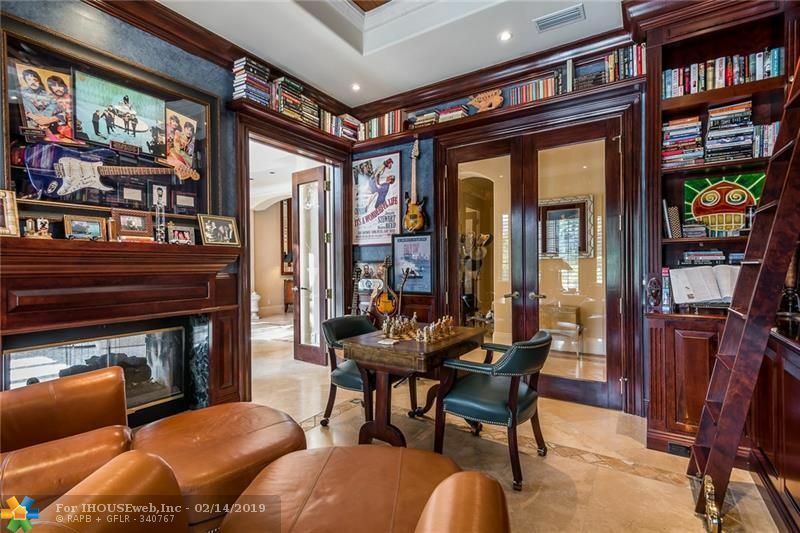 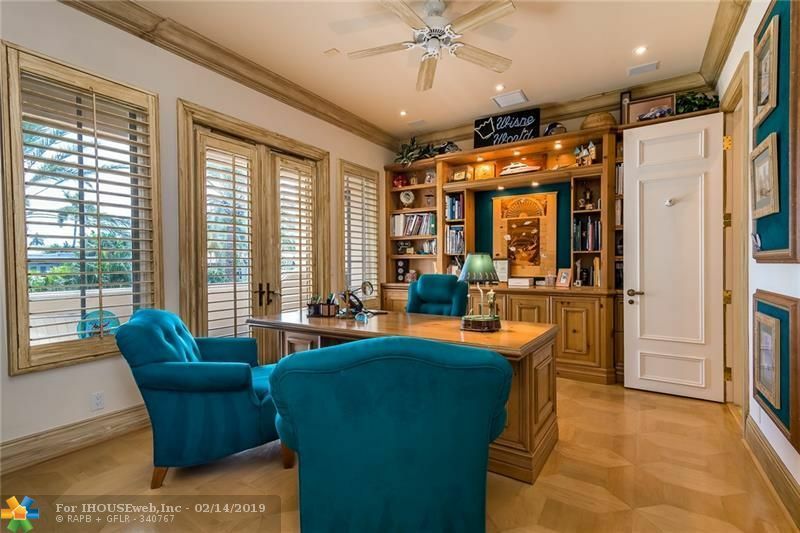 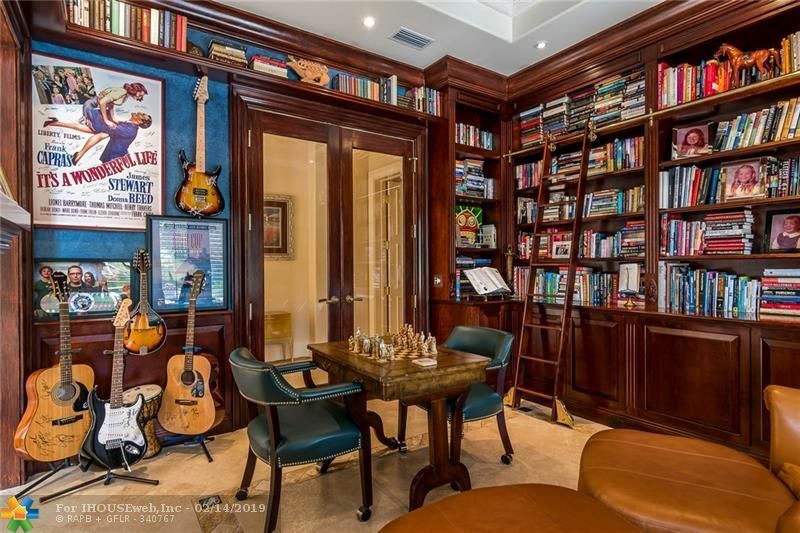 Classically appointed library with pecky cypress ceiling and fireplace. 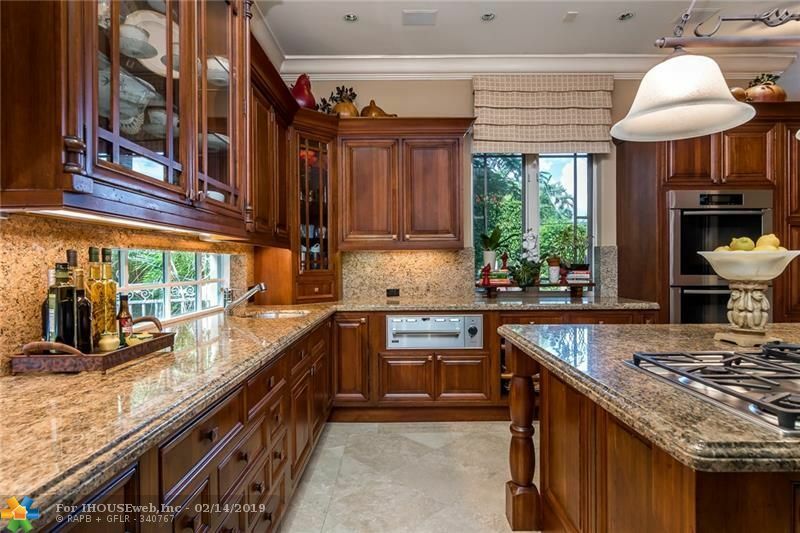 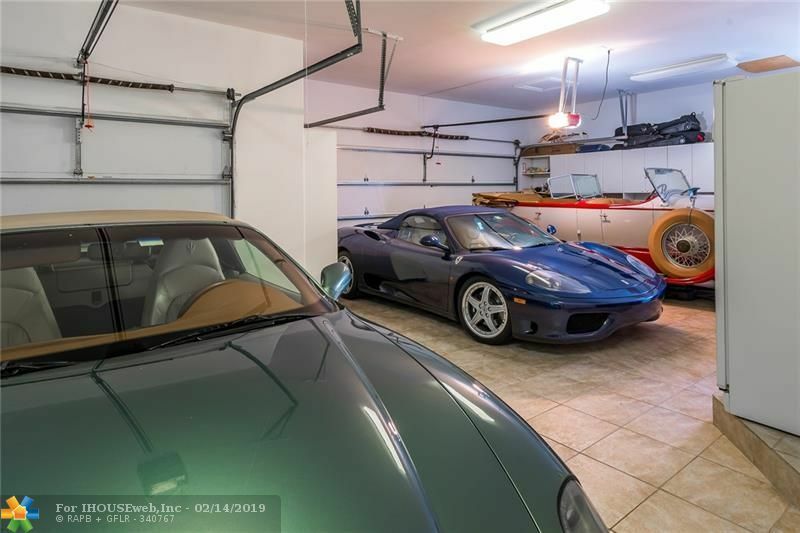 Well-appointed kitchen. 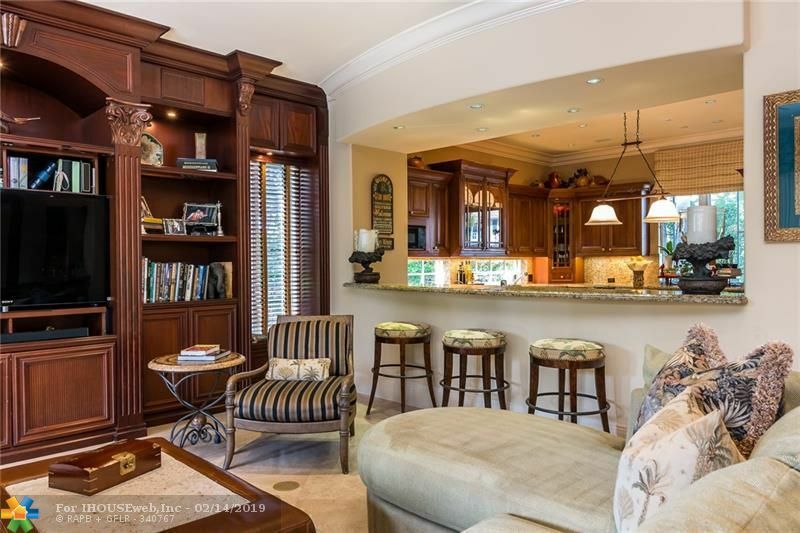 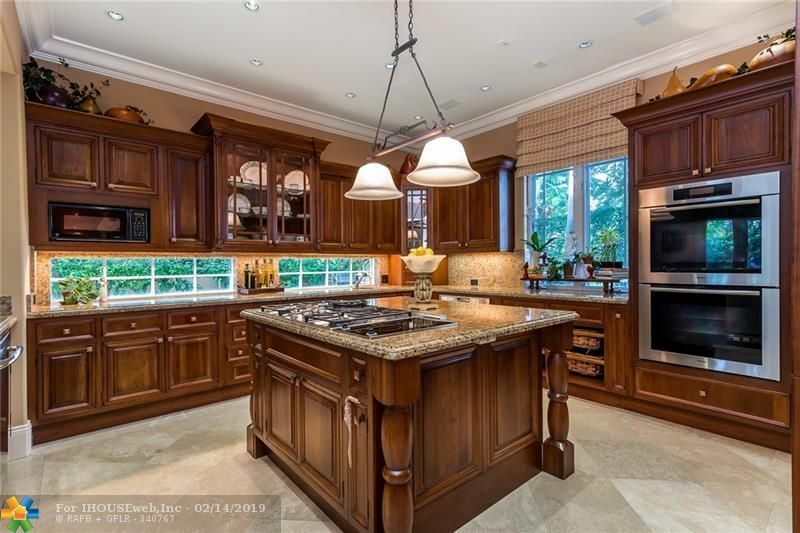 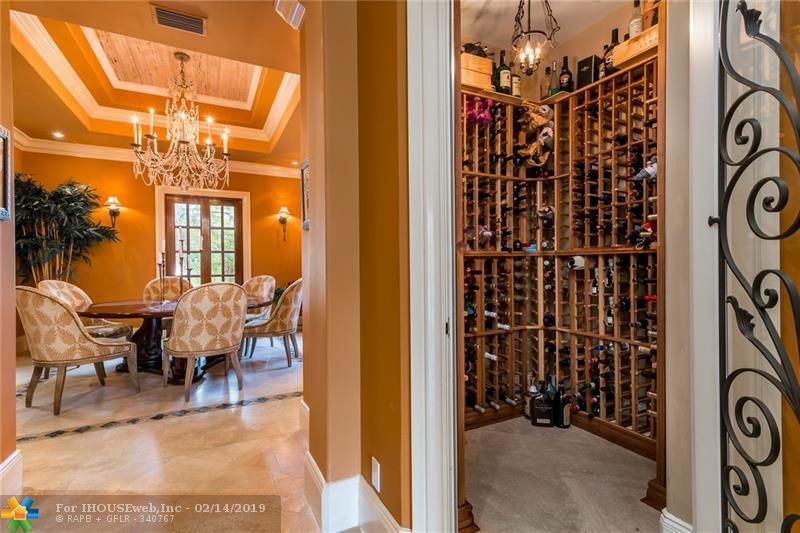 Family room with full-size wet bar, wine cellar and doors lead to lanai with summer kitchen and fireplace. 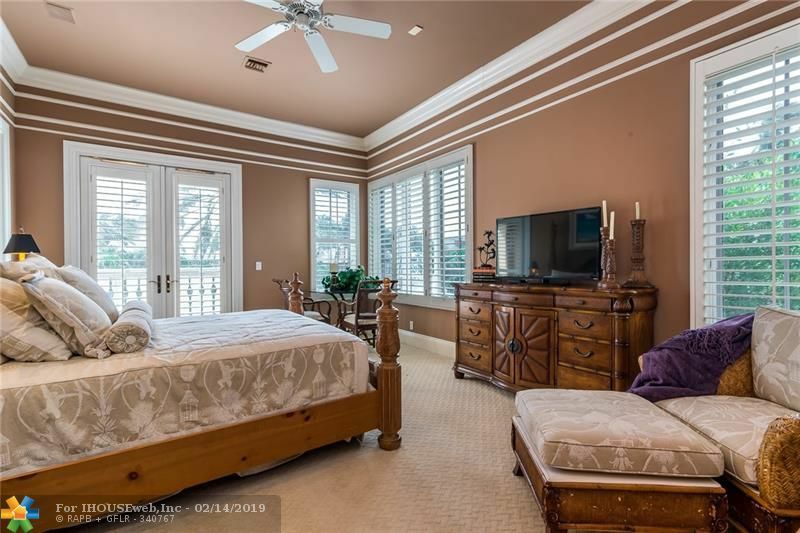 Downstairs guest suite with kitchen. 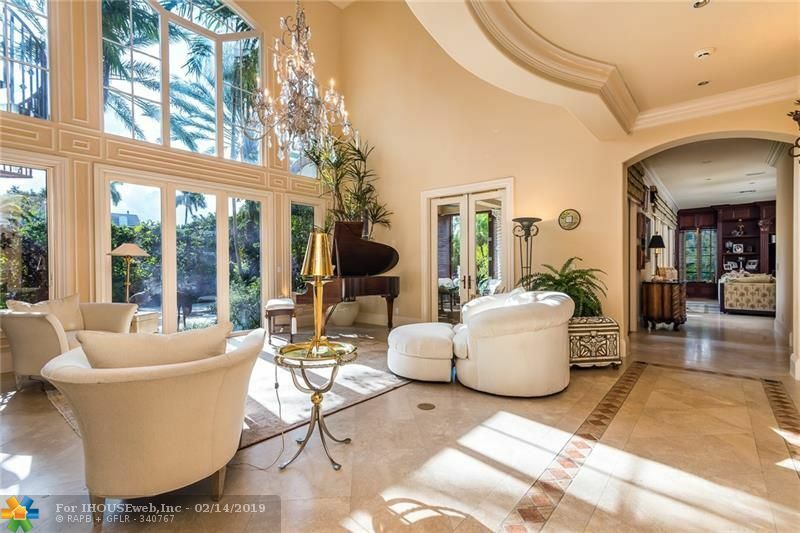 Large upstairs master wing. 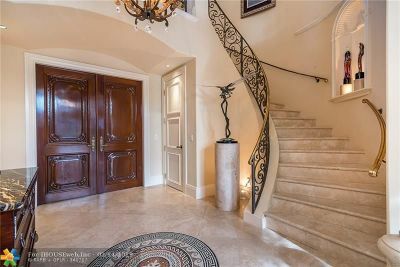 Spiral staircase to 3rd floor deck with breathtaking views. 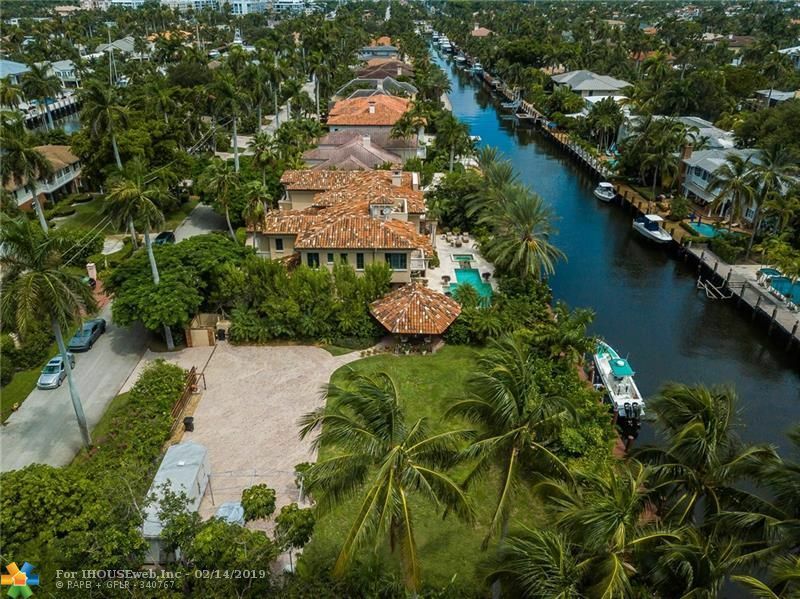 Directions: Las Olas Boulevard To San Marco Drive (South Side Of Las Olas Boulevard). 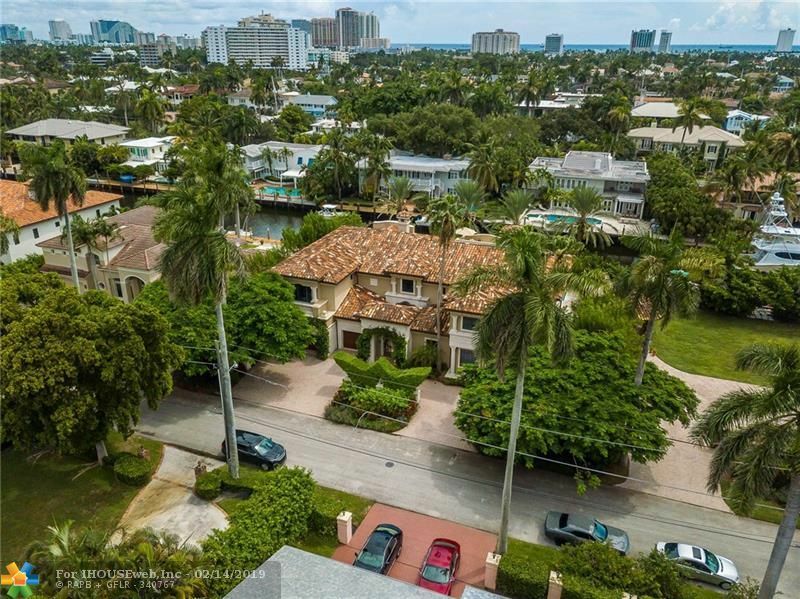 South On San Marco Drive To This Double-Lot Property On The Left/East Side Of Street Close To The Point.